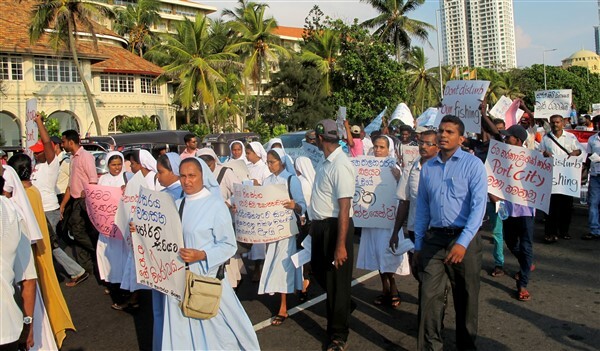 The Colombo Port City Development is a large 200 hectare land reclamation. Once finished it will be protected by a low-crested offshore breakwater with a length of more than 3 kilometres, but during construction much of the sandy reclamation will be exposed to the sea. "Colombo Port City is a key project in South Asia under the Belt and Road Initiative and it has well matched Sri Lanka's Western Megapolis development strategy," CCCC Chairman Liu Qitao told Xinhua. 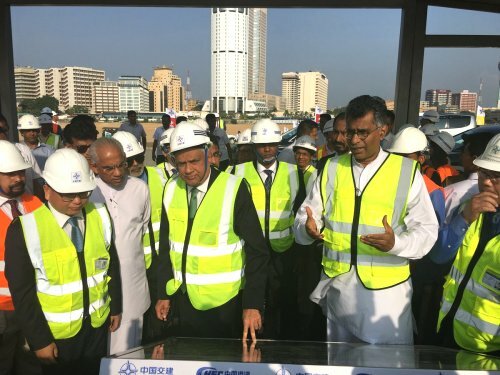 Abans Sri Lanka together with SilverNeedle Hospitality of Singapore have completed piling operations for the construction of a 47 storey 1,000,000 sq. ft. mixed lifestyle centre consisting of a shopping mall, apartment complex and hotel, at the former CCC site opposite the scenic Beira Lake at Sir James Pieris Mawatha, Colombo 02, to be called Colombo City Centre. Colombo Port City is the biggest property development project for CHEC. Other cooperation opportunities for this development are being discussed. Other cooperation opportunities for this development are being discussed.